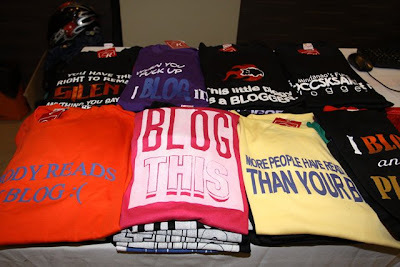 We are back to printing blog shirts for sale and while this project started from helping a fellow blogger who is sick, we continue with our cause to help more. Last night, we have made 'Blog This,' 'SOCCSARGEN BLOGGERS,' and 'Nobody Reads My Blog' with the customer's URL address. We sold the shirts to local members at PHP 250.00 but PHP 300.00 to outsiders with add-on of PHP 50.00 to customized shirts. As soon as we can, we shall print more designs and sell these online.